HAARP is under new management, and the public is invited to get a look at the research facility that, in past years, has been the subject of dark rumors. The University of Alaska Fairbanks now owns and operates the High-Frequency Active Auroral Research Program and invites the public to an open house Saturday. This is interested visitors' chance to learn about the scientific mission and research at the Gakona facility, which was transferred last year from the U.S. Air Force to UAF. UAF officials are hoping for a high turnout. "We hope that people will be able to see the actual science of it," said Sue Mitchell, spokesperson for UAF's Geophysical Institute, which operates the facility. "We hope to show people that it is not capable of mind control and not capable of weather control and all the other things it's been accused of." HAARP, which opened in the 1990s, is one of the world's few centers for high-power and high-frequency study of the ionosphere, Earth's thin upper atmosphere, which gets its name from the high quantities of ionized atoms and molecules that bounce around it. The ionosphere is important because radio waves used for communication and navigation reflect back to Earth, allowing long-distance, short-wave broadcasting. To study the ionosphere and what is happening there, HAARP uses 180 high-frequency antennas spread over 33 acres. The antenna field will be available for public tours at the open house, and one of the facility's scientist will be available to explain how it works, Mitchell said. Other features include an unmanned aircraft "petting zoo" and various interactive displays about space weather and other subjects, Mitchell said. There will also be an opportunity for visitors to tour UAF permafrost and seismic stations that are not part of HAARP but within walking distance, she said. Refreshments will be served, and the event is open for all ages, according to the Geophysical Institute. HAARP is a 240-mile drive from Fairbanks and roughly 198 miles from Anchorage. 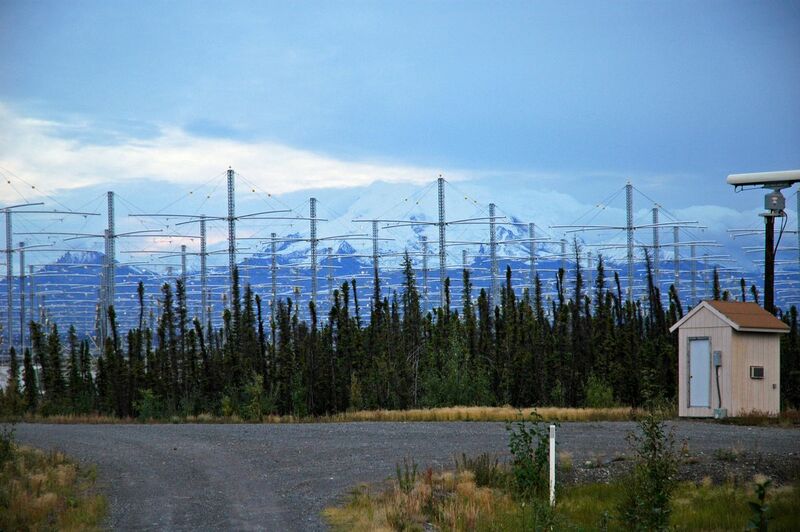 A related event is a Friday night public lecture on HAARP, to be held at the Wrangell-St. Elias National Park Visitor Center, about 30 miles away from the facility. Yereth Rosen was a longtime reporter for Alaska Dispatch News.